Vince was a one off. Larger than life, always ready for a trip to to the local pubs and keen on his football and cricket. 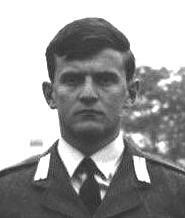 Unfortunately his RAF career was cut short following ejection from a Hunter on his first tour in Tengah, Singapore. Thereafter, with back problems, he felt he could no longer fly and after several attempts at civilian jobs, started his own business as a financial consultant. Vince was always keen to help others and this came across in his business; he took a fledgling company from start-up to become a highly successful financial consultancy in his local town of Evesham.. 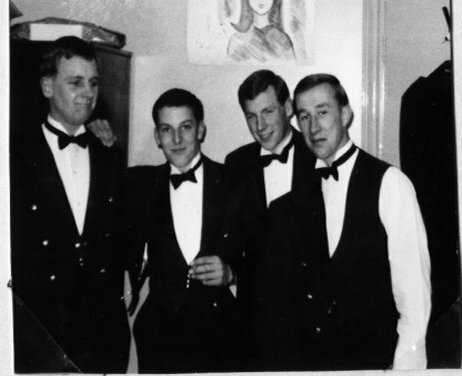 He also became well known in in the local area for his voluntary work serving for some years as a prison visitor helping with rehabilitation work. 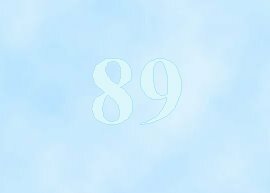 Laterally, ill health forced him to retire and he had difficulty attending 89 Entry Reunions but he will be sorely missed by all who knew him particularly those members of 89 Entry who he considered as life long friends. 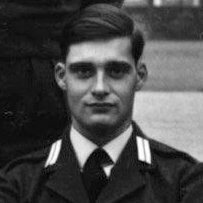 A couple of interesting docs - long since forgotten. 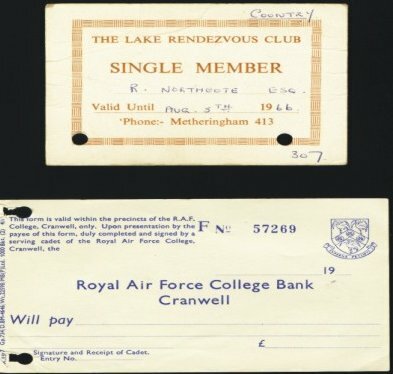 Who remembers "The Lake Rendezvous Club"? Is that the place where we played "Pirates" and managed to loose several drill swords? With regards to the cheque - I don't remember ever having any money - maybe that's why one survives? 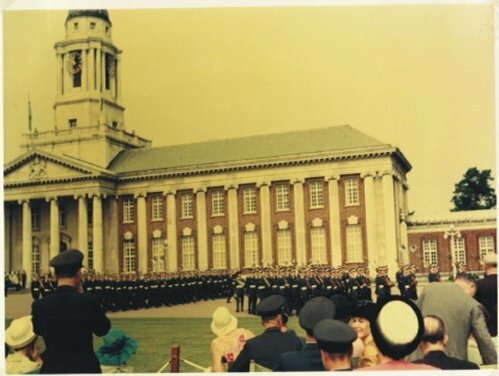 "To introduce myself I am Malcolm Barents, the younger brother Of Martin Barents who joined 89D at Cranwell in 1963. I have just found your website and the account of the reunion and memorial service you held in June 2003. I was deeply moved by your account of the ceremony at Martin's grave and very grateful to the organisers and all those involved. As you say I felt particularly proud and honoured that Sir Peter Squire laid a wreath. 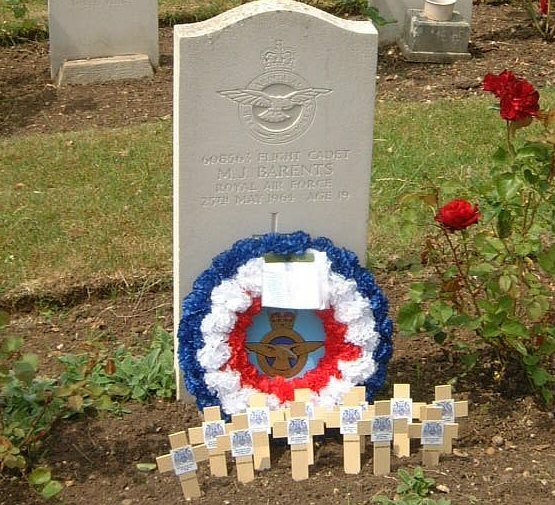 Obviously the day of Martin's funeral is one that I will never forget, (I do not recall if you were there, but I imagine the whole squadron was, I was the child with the other family members) and I have not had many opportunities to visit the grave and I have not seen it for quite a few years now. It was very nice to see how good it looked. Martin's father is also similarly touched. 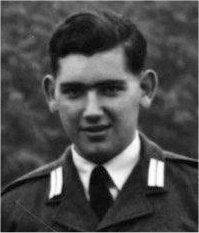 He is now 83 and was a navigator during the 2nd world war, flying Mosquitos on photo-reconnaissance out of RAF Benson. 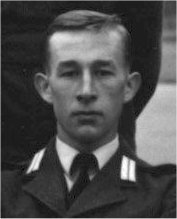 We are just about to celebrate his crash landing, and subsequent escape out of Sweden 60 years ago in August 1944. It would be very nice, if at all possible to have copies of the photographs published on your website. I would of course re-imburse for the costs of duplication and postage etc. Once again, my thanks to all of those whose organised and took part in the ceremony. 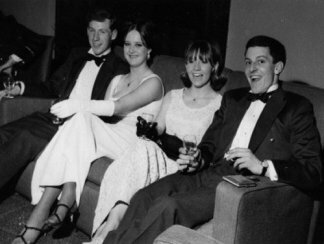 It is pleasing to see that the power of the web can link us with our past and the families of our friends - Needless to say the photographs are on their way. We wish Martins family and particularly his Dad happy memories of a son he can still be proud of.